Public Figures Struggle With Social Media Boundaries After Dallas Shooting : The Two-Way Politicians, police officers, and media personalities have all gotten blow-back for inflammatory social media posts about the shooting of officers in Dallas. Former Illinois Rep. Joe Walsh is standing by a tweet he sent after the fatal shooting of five police officers in Dallas in which he warned President Obama to "Watch out" and "Real America is coming after you." Many public figures who took to Twitter and Facebook following the murder of five police officers in Dallas have faced public blowback and, in some cases, found their employers less than forgiving about inflammatory and sometimes hateful online comments. "Dallas PD and their officers are in our thoughts and prayers... The hatred of law enforcement by a minority movement is disgusting ... 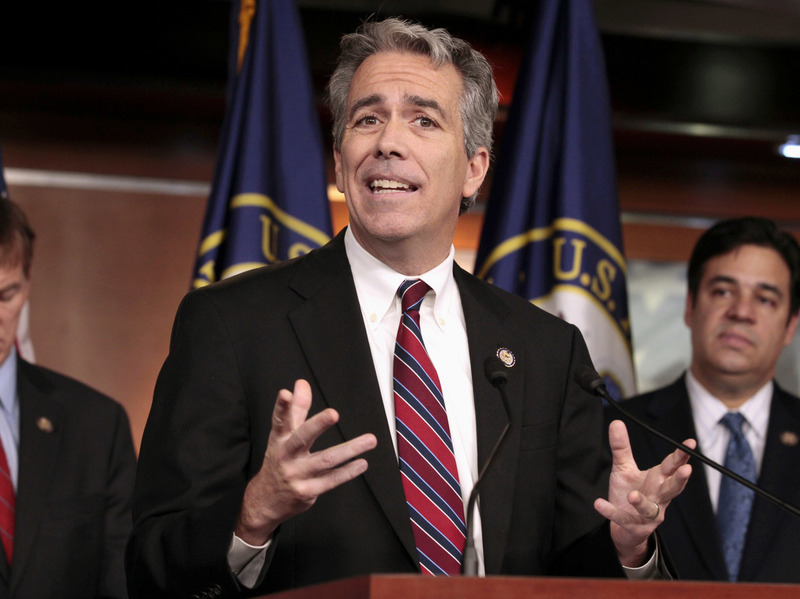 Heads in swivels, brothers and sisters... #Weshallovercome"
Hundreds of people attacked former Illinois Rep. Joe Walsh on Twitter after he tweeted, "This is now war. Watch out Obama. Watch out Black Lives Matter punks. Real America is coming after you." Walsh told the Chicago Tribune that Twitter removed the tweet from its site, and he defended it in an interview with the paper. "I was not trying to incite violence against Obama and Black Lives Matter," he said. "That's crazy and stupid and wrong." Media personalities have also reacted to the news by posting inflammatory opinions to social media. Kalyn Chapman James, a host on Miami's WPBT public television station, was temporarily suspended after she shared a video in which she referred to the shooter in Dallas as a martyr, according to CBS's WAVE 3 in Miami. "Meet the new KKK, they call themselves 'Black Lives Matter' but make no mistake their goals are far from equality. #Dallas #Bluelivesmatter"
In another tweet, Lahren appears to blame police reform activists for the Dallas attack. Many people responded on Twitter calling for Lahren to be fired. "It astounds me that people working in the media tweet without thinking. I argue that it is not just a matter of new technology that makes it possible, but rather some media workers not being socialized to the values of journalism and social responsibility. I believe it is a huge problem. A panel including Zurawik and Lahren discussed the online reaction by media personalities on CNN's Reliable Sources. John Gorman, a freelance reporter who writes mostly about sports posted on Twitter that the shooter had, "acted in righteous anger" and "I don't believe in our leaders. I don't believe in the common good. Burn this whole country to the ground." He later deleted the tweets, but not before the sports website The Cauldron, for which Gorman had frequently written, cut ties with him.